Adopt-A-Pet – We not only list our adoptable dogs through Adopt-A-Pet but they also provide useful information for pet owners. 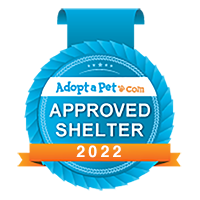 We are proud to be an Adopt-A-Pet approved rescue. U S Wolf Refuge & Adoption Center – See Who Else Loves Animals As Much As We Do! We have the utmost respect for wolves and the amazing folks at the US Wolf Refuge who work tirelessly to rescue wolves and wolf hybrids. Please visit their website to see what this organization is all about and consider helping them out financially. After you have submitted your application, you will need to send us pictures of your yard, fence, patio, balcony and other outside areas that the animal might be kept.